This is a game for practising symmetry and is compatible with IWB, iPad and other tablets. Defend yourself from the invaders by completing their symmetry to lock on and destroy them. Fail and they shoot back! A practise mode is included for teaching about symmetry or for students to practise before engaging the enemy. This mode works well on an IWB as a teaching resource. 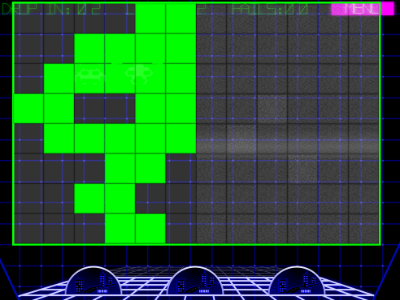 There are 20 levels and the game records the number of errors clocked up in completing them. It makes a useful alternative to completing worksheets on this subject. Go to Symmetry Invaders game.